Jameson is an Irish whisky produced by the Irish distillers subsidiary of Pernod Ricard. It is the most popular Irish whisky in Kenya with the majority of its market being in the United States. The whisky is named after John Jameson,a former lawyer who took over a distillery in Dublin in the year 1801 with his son also known as John Jameson. 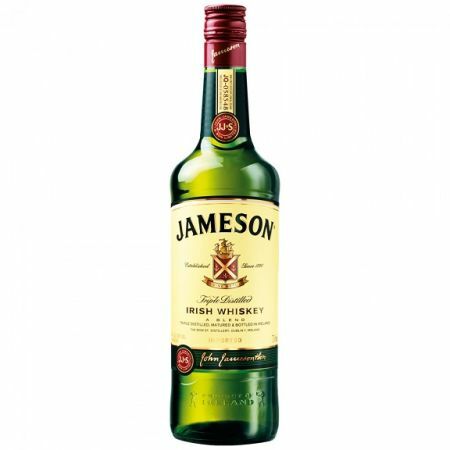 Jameson is available at Dial A Drink Kenya in various types and sizes but the most popular of all is Jameson tripple distilled Irish whisky as pictured above. For our whisky delivery in Kenya service,Jameson is available in 4.5litres,1 litre and 750ml. Available in 1litre,750ml and 4.5litres. Enjoy fast whisky delivery delivery services from our reliable online liqour store Dial A Drink Kenya. Buy jameson whisky online in Kenya and enjoy fast and free delivery within Nairobi and its environs.